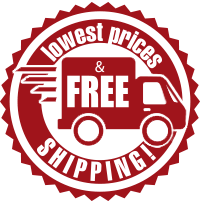 Free Shipping on any complete system purchase. 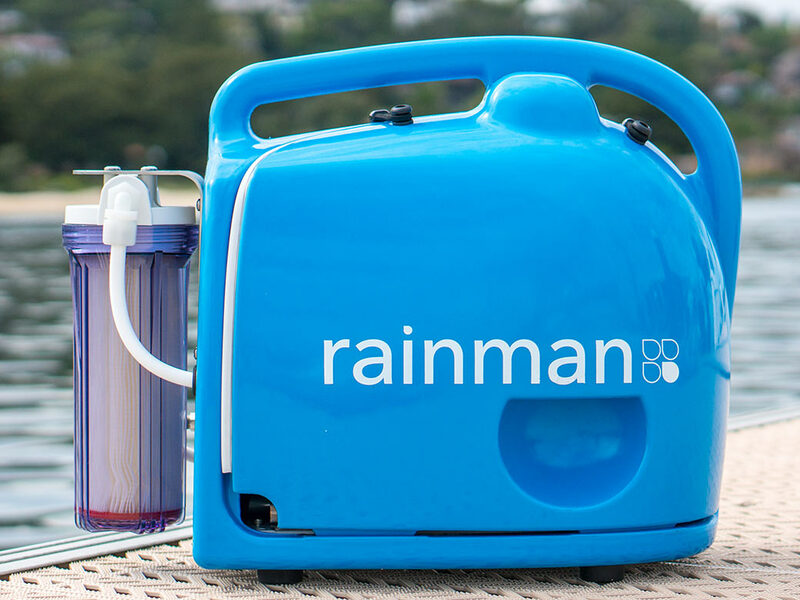 Rainman is the first fully portable marine watermaker. 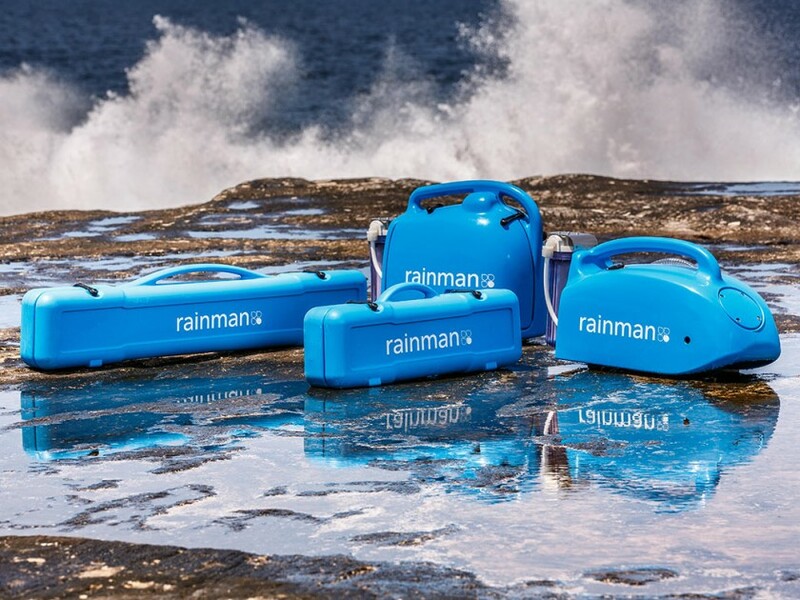 The compact design allows the Rainman to be easily moved about and conveniently stowed. 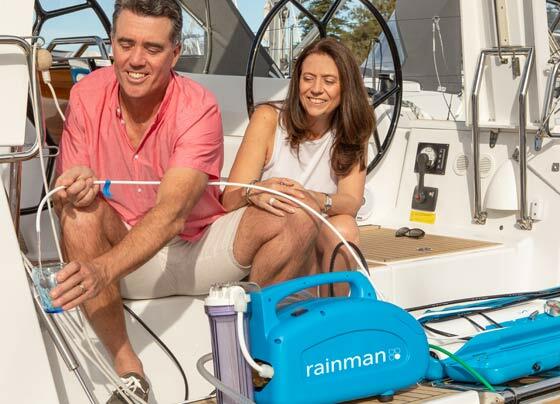 By avoiding the cost and complexity of permanent installation, Rainman is an extremely economical marine watermaker solution. Rainman is simple, robust and designed for ease of use and low maintenance which eliminates unnecessary components, such as electronics, flow gauges and back wash valves. 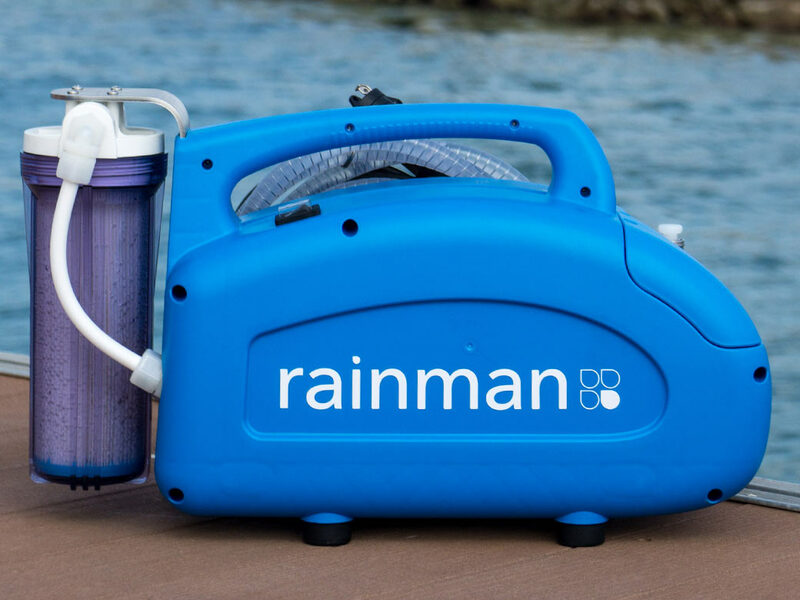 Multiple options are available for the reverse osmosis membranes, with the high output Rainman version making 26-37 gallons of fresh drinking water per hour. 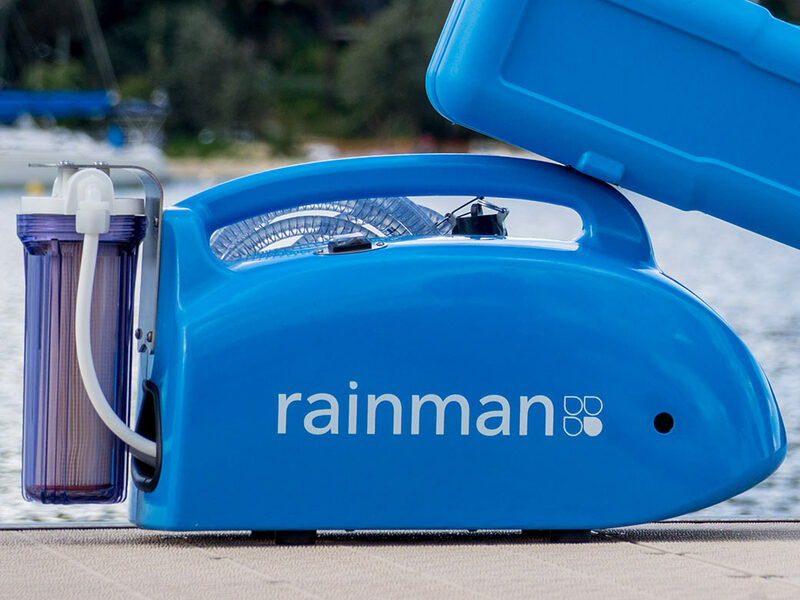 The initial cost of a Rainman desalination unit will be far less than permanently installing a system on your yacht. 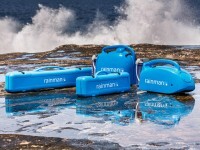 Ongoing maintenance costs of Rainman compared to other marine watermakers will also be lower due to the simpler design. Only Rainman provides these convenient extra features. Easily transfer your watermaker between boats – ideal for sharing among friends or club rental unit. Perfect watermaker for using off the grid. Can use RO membranes from other suppliers. Ideal for when you have a generator on board. Optimized for Honda 2kW generator or higher. For solar cells or 12V battery power on board.